What do you do with a city built for 300 000 people, but with a population of less than 10% of that? (It's Inner Mongolia, I don't blame humanity for not moving.) We're talking large urban spaces, attempts at innovative architecture, oversize bronze horses galloping across stone plazas, organic concrete shapes and four-lane roads without cars. You bring your skateboard, of course. 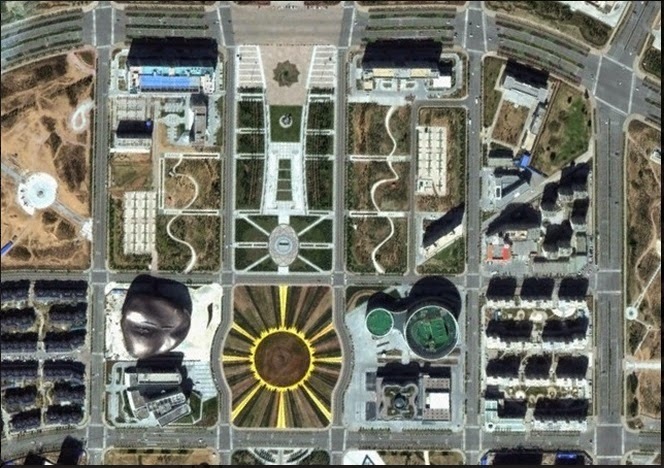 The poetically named Kangbashi New Area, Ordos. Not Bregna.